Quite how yarn shades come to be named is a process as mysterious as its results are varied. 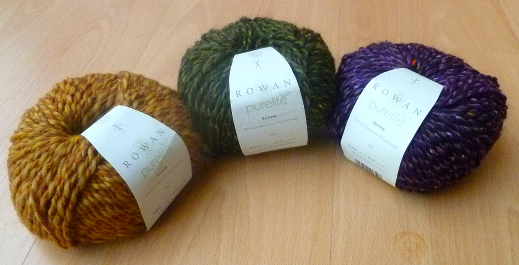 Some skeins end up with honest, sensible, banker names, such as Coal (Purity) or Gooseberry (Handknit Cotton). 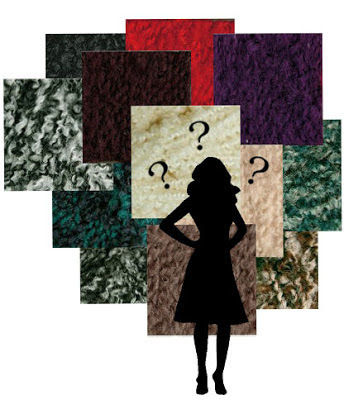 Others are a little more obscure, but can be identified with a little educated guesswork (see, for example, Wash ‘n’ Wear Flamenco, Sorrento’s Scuba Dive, or Knitglobal’s Purple Haze). Some yarn names, however, are downright poetic and this post is an ode to some of the most interesting, but least descriptive, yarn names that have come to my attention. Can you tell your tweeds apart? Digger, Garage, Mini. Which is which? 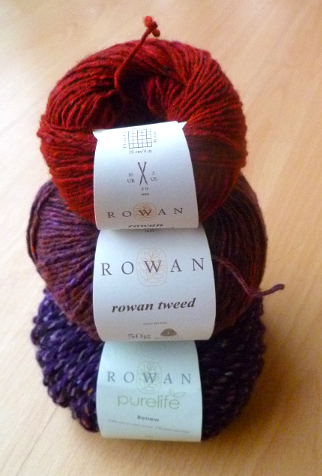 While names like these undoubtedly make it harder to work out what colour a ball of yarn is likely to be, it’s not really a worry for the majority of knitters and crochetiers. 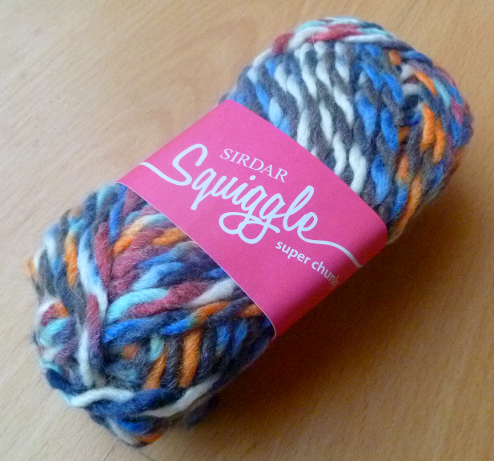 Most people don’t choose their yarn based on its name, but on factors more closely connected to the project it is intended for, such as texture, weight or colour. Indeed, the name is almost irrelevant. ‘Why even bother with the wacky names, then?’, you may yet be wondering. I have no firm answers; only the suggestion that some yarns must be named purely for the vexation of wool shops and for the amusement of designers! The odd thing about Persia is that the names are all Russian related but Persia is the country that turned into Iran - not Russian at all!